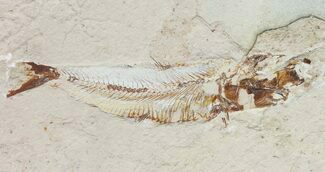 This is a 4.8" long example of a uncommon predatory fish, Eurypholis boissieri. 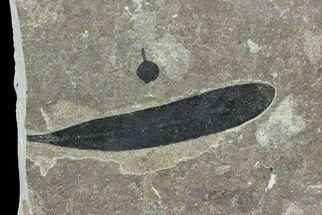 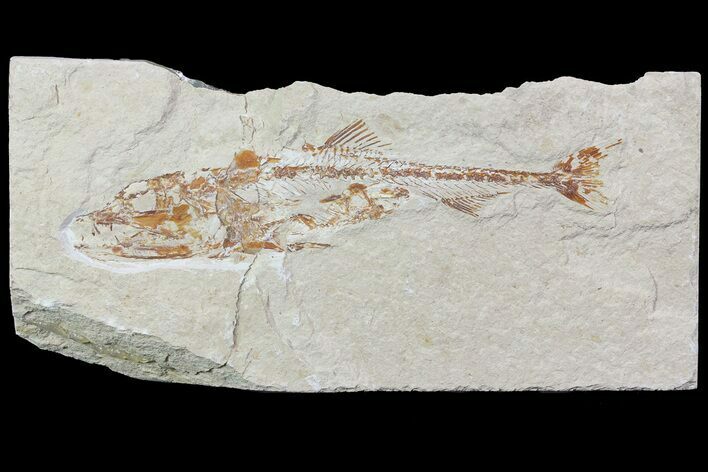 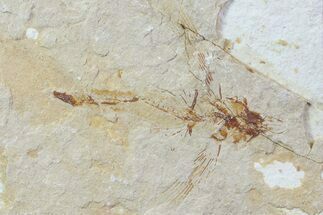 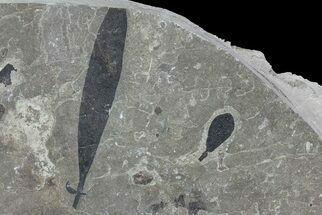 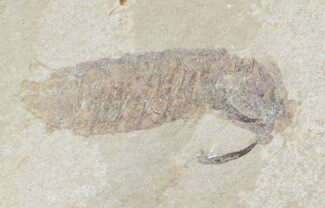 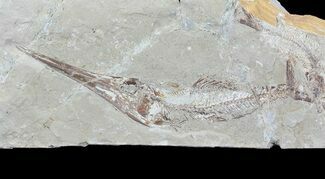 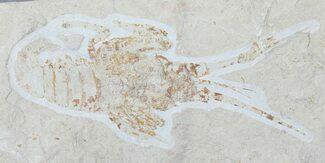 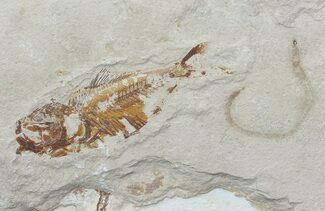 This fish was quarried from the famous Upper Cretaceous aged, marine lagerstätte near Hakel, Lebanon. 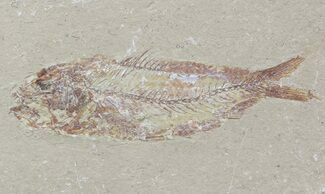 Outstanding dark orange colored preservation which contrasts nicely with the creme colored colored limestone.